Fifth movement (Polonaise and Double) of the Orchestral Suite No. 2 in B minor, BWV 1067, scored for strings, continuo, and solo flute. The polonaise is a stately, festive dance, always in triple meter. Often, the polonaise employed repeated rhythmic figures, as Bach does here with many dotted rhythms in each measure. The term double referred to a type of variation, usually composed mostly of embellishments. 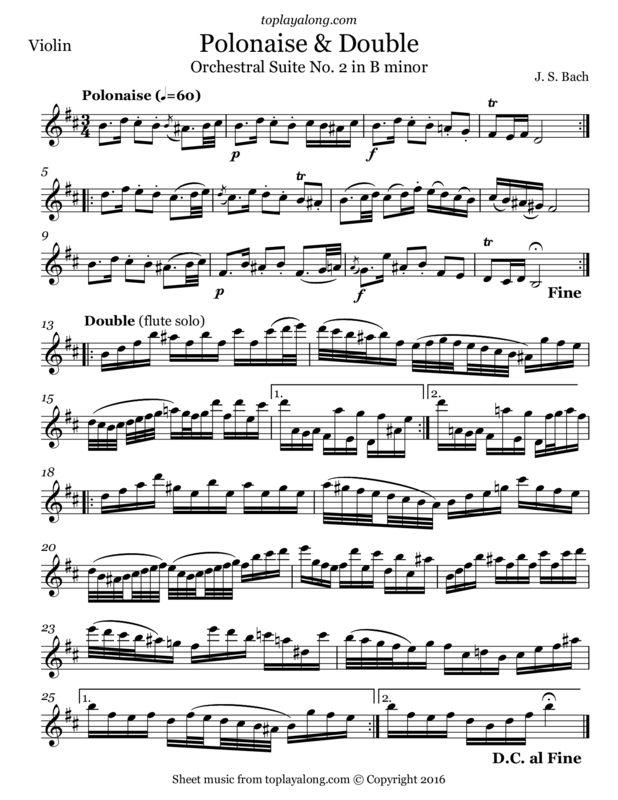 In this case, the double employs the main theme of the polonaise, while the flute plays an ornate variation over-top.